Wednesday is market day in charming Uzès (see previous post here). A day not to miss when you’re around. But besides the weekly market, there are some great shops in this bustling Southern French town. The first time I visited Uzès, I was with chéri and our brood. Trying to hop in a few shops to have a “quick look”, I soon enough figured out I had to come back for some serious shopping. So I did. And I am happy to share my finds with you. Uzès is a lovely little town with lots of hidden gems. I started my shopping quest at the boulevard des Alliés. 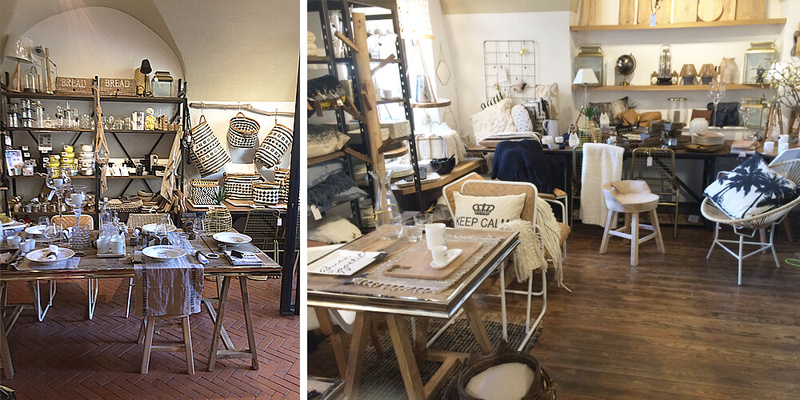 And here is where I found my first surprise of the day: furniture and lifestyle store Casa & Dolce Vita. 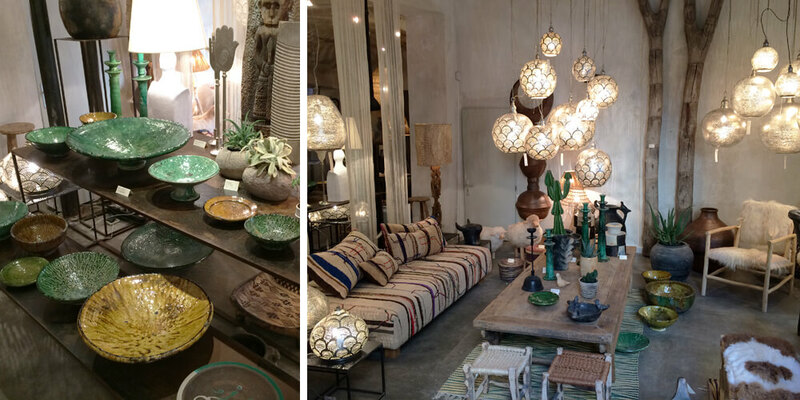 Everywhere I looked I saw the most beautiful pieces of furniture, perfectly styled with tableware, lighting, baskets, plaids, cushions and more. Their style is natural with a twist. Absolutely love it. 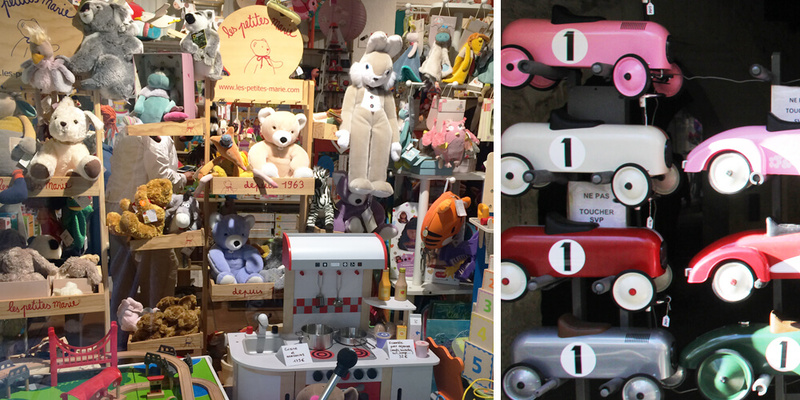 On my way to la place aux Herbes, I walked through the passage du Marché and discovered this children’s heaven. Toy store Au Bois de mon Cœur sells the most desirable toys. No hysterical plastic and noisy toys with flashing lights here. Only a well-thought-out, creative and high-quality assortment. They have a huge selection of the sweetest and cuddliest stuffed animals. And outside, on the sides of the place aux Herbes, you will find a very cool and colourful collection of vintage toy cars. 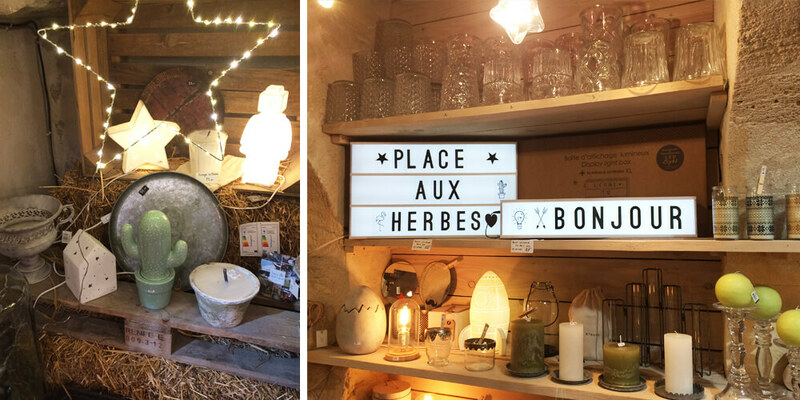 This home and garden concept store has the most original products. If you are looking for a gift, this is the perfect place to go. Or you can keep it for yourself. Beautifully designed items such as bowls, candles, cushions, vases, trays, star-shaped lights and so much more. It is a true feast for your eyes, and it will be hard to choose between the many lovely products. 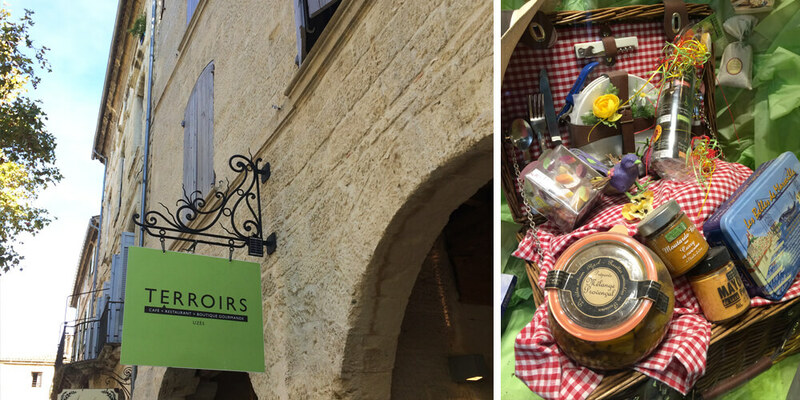 If you are done shopping at the Wednesday market, Terroirs is the place to enjoy a lovely lunch. However, it is not only a bar or a restaurant. You can also get some of the finest local products. There is a choice between olive oils, vinegar, honey, confiture, spices, chutneys and tapenades to name a few. Including a good wine selection. They even make richly filled baskets, so you’re ready to go for a picnic. 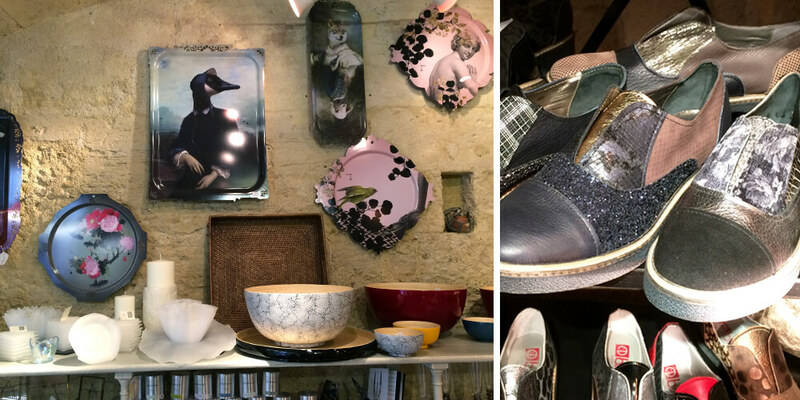 I was continuing my stroll to rue Jacques d’Uzès when my eye spotted an interesting looking shop window in the rue Pelisserie. This wonderful and oriental mix of furniture and home decoration needed a closer look. Once inside, I couldn’t be happier. Les Affaires Etrangères collects its tasteful assortment mostly from the Oriental world. You will find awesome Moroccan lamps, Berber carpets, colourful fabrics, custom-made sofas and beautiful pieces of art. What a great place! A definite must-go if you ask me. First I didn’t know where to look at in this eclectic concept store. La Maison de Syla has a colourful collection with humour. You will find a wide range of unique treasures in home decoration, tableware and bedlinen (presented on a hanging bed). Also originally designed shoes, bags and accessories are part of the collection. The fluffy flamingo’s dotted everywhere in the store will lure you inside. However, they are the cutest ever. 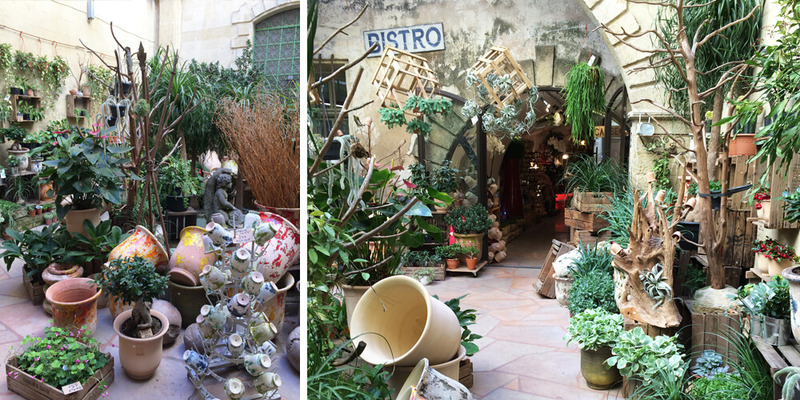 Right in the middle of rue Jacques d’Uzès, this store facade hides a gorgeous green and lush courtyard. 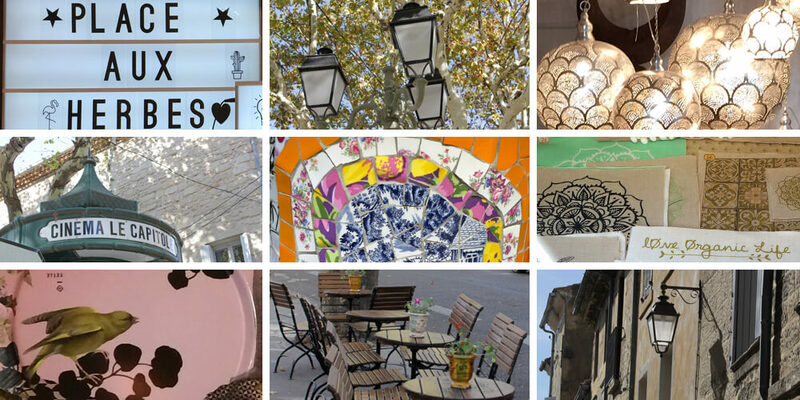 CR Uzès sells pottery, but not just any pottery. Originally these pots were created to honour the Baron of Castile and his beloved wife, Hermine de Rohan. CR (standing for Castile and Rohan) wanted to keep the ancient craftsmanship. So you will find a lot of pottery in this shop. Classical ones, but also with a modern twist. 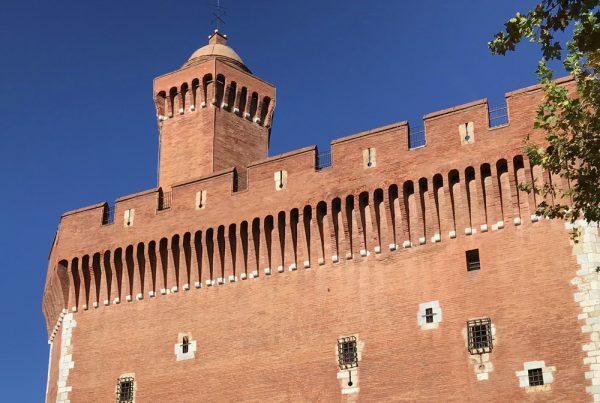 On my way back to the car, I decided to walk via the Château Ducal, better known as “Le Duché”. Luckily I did, as this is how I discovered the universe of Audelia d’Antan. 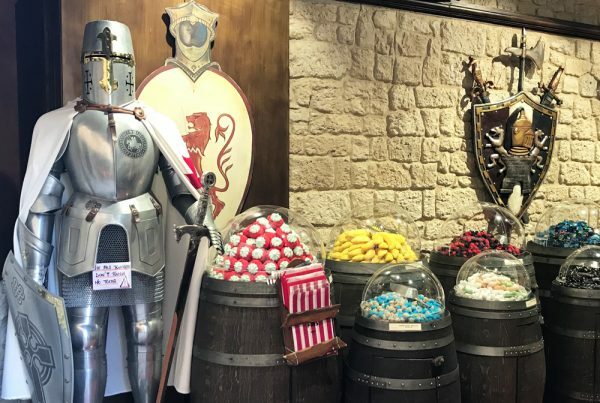 This original store lets you travel back in time as you can actually buy clothes inspired by a time long past. It is also possible to have them custom made. 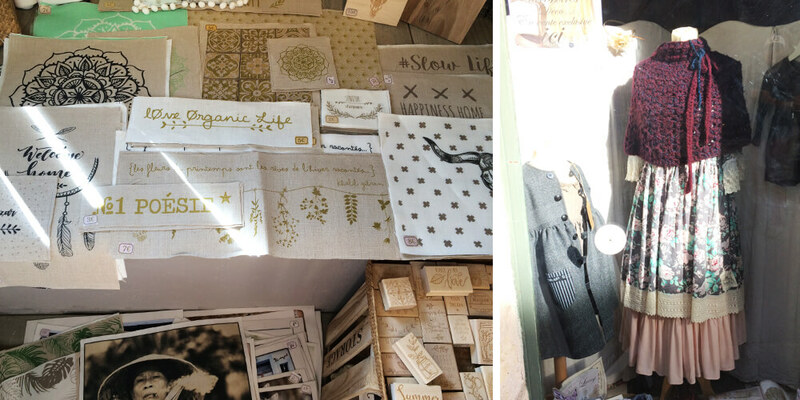 Besides clothes, Audelia d’Antan sells the most beautiful and very enticing stationary. 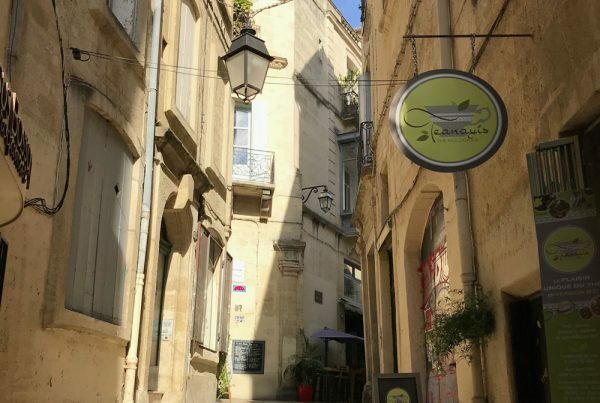 I discovered Uzès by walking from the boulevard des Alliés via the passage du Marché to the place aux Herbes and the rue Jacques d’Uzès. 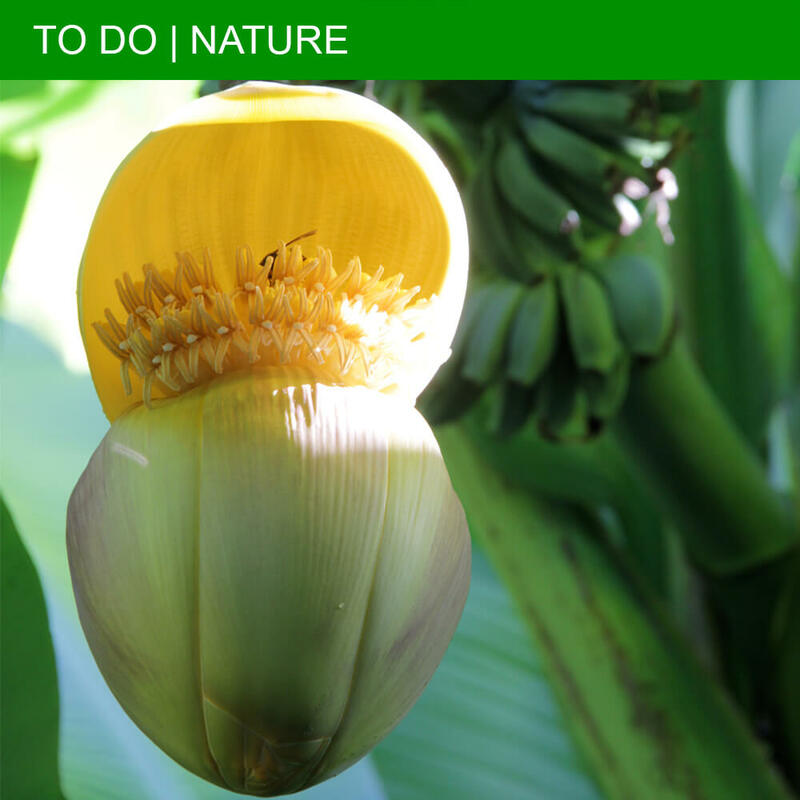 These stores are my favourites, but I am sure you will find many other treasures! If you like, I would love to hear your finds. The Gide parking lot is easily accessible and close to the centre. You will find it underneath the Lycée. Partir à la découverte de Uzès est un régal pour les sens, j’adore son marché et ses saveurs, ses boutiques mode aussi bien que mes coups de coeur niveau déco. J’y retourne à chaque fois avec un réel plaisir, ma dernière visite date du 10 mars dernier avec un nouveau passage dans la boutique “Les affaires étrangères”. J’en suis fan et je me laisse emporter par la beauté de cette déco orientale. J’ai craqué pour une lampe à poser marocaine qui va m’être livrée en Belgique. Et le plus qui ajoute encore du charme à cet endroit, un accueil vraiment sympa. Hâte de recevoir mon achat.